Avaatech and SPECTRAL Industries are happy to announce the start of a project for the integration of a Laser Induced Breakdown Spectroscopy (LIBS) instrument into the well-known Avaatech XRF Core Scanner. Like XRF (X-Ray Fluorescence), LIBS is a well-established analytical technology for chemical analysis. 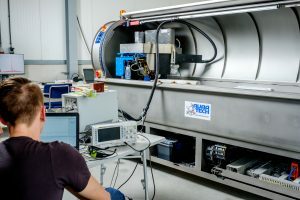 The LIBS-technique uses a laser to create a high temperature plasma and it records the element specific emission spectra in the cooling plasma. LIBS is a fast measurement technique: one measurement takes less than a second, and it is able to detect all elements, including the light elements (Li, C, Na, Mg etc) that are not detected by XRF. The aim of the collaboration between Avaatech and SPECTRAL Industries is to combine the strengths of the XRF and LIBS technologies to develop an even more powerful core scanner that can provide fast and reliable chemical data for a wide variety of applications. The integration of LIBS will make the core scanner especially useful in mineral exploration in the mining industry. In this development, Avaatech and SPECTRAL Industries will be supported by Royal Eijkelkamp and the Royal Netherlands Institute for Sea Research (NIOZ), which will provide drill core samples as well as their invaluable knowledge and scientific support. 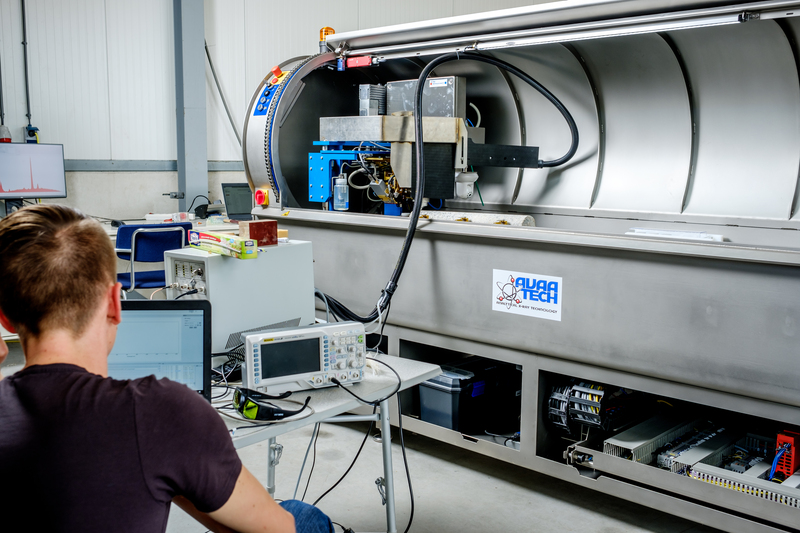 The photo displays the simple setup that was established for testing the feasibility of the two instruments fitting and working together in one core scanner.